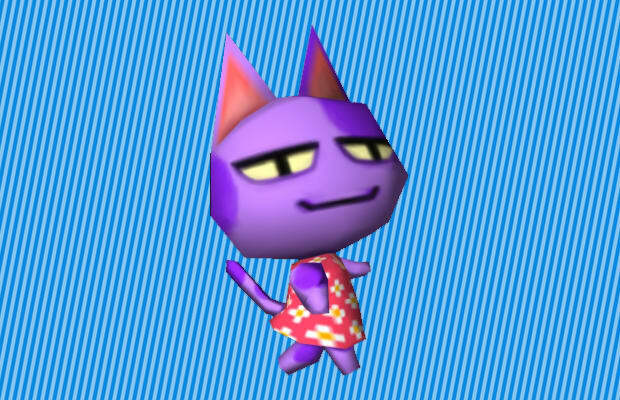 This purple speckled feline is one of the most flirtatious villagers in Animal Crossing, but don't let his pink pokadot dress fool you, he's all man. As the laziest citizen in your town, Bob can often be found following after you while fishing, asking for common fish like Sea Bass to "study". Bob's also prone to hissy fits when you don't invite him over to your place, and will give you plenty of sass whenever you don't spend enough time with him.